I know you’re always ready and willing to try out our newest products. That’s why we want to let you guys be the first to test our newest portable speaker: Soundcore Mini 2. The next generation of our original best-selling Mini, it’s an ultra-compact speaker with surprisingly big sound. With IPX7 waterproof protection, you can take it almost anywhere, in any weather! We’re exchanging this testing opportunity for 300 of your PowerBucks. If you want to use your bucks to get Soundcore Mini 2 for free, let us know you’re interested by following the instructions below. We’ll announce our testers (our fans who post the top 20 best entries) on April 2nd. If you would like to use 300 bucks to get in on the Soundcore Mini 2 testing phase, leave a comment below letting us know your testing plan (e. g., in what circumstances you will test Soundcore Mini 2, how you will record your results, and how you plan to share your review). Event runs from March 26th through April 1st. We will select 20 testers to receive a free Soundcore Mini 2. PowerBucks Required: 300. If you are not selected as a tester, you get to keep your 300 bucks to use in a future event or PowerDraw. US and UK (fans from other countries will get their chance to participate in more PowerBucks exchanges soon!). After receiving your Soundcore Mini 2, you are required to send AnkerOfficial a link to your online review by May 5th. If you fail to meet the review deadline, you will not be allowed to participate in future PowerBucks redemption programs. You are not required to post your review to any specific website, but here are some ideas: Facebook, Instagram, Twitter, YouTube (you can make a video instead of a written review! ), deals websites, your personal blog, or other online spaces you frequent. If you are selected to be a tester, we will deduct 300 PowerBucks from your account within three working days. Thanks to everyone who participated and helped make this event a success! Let's celebrate our winners!​ The 300 powerbucks will be removed from your account within 3 working days. Can’t wait for your meaningful review! Unfortunately I have spend my bucks in Power Draw just an hour ago. Regarding, sound, connectivity, battery life, ect. Yep @ankerofficial I would love to test it! I plan on testing mine in a work environment, this can be noisy so sound and loudness with clarity plays a factor. I would compare it to my Soundcore Nano and three other bluetooth speakers I have. I will test for clarity, bass, ease of connection, distance of connection, and ruggedness. - use it in shower to keep listening to work calls muted. - use it in a normal home environment as speaker phone, ring myself, record and listen back to info how good as a speaker phone. - Use in a noisy envirronment and see if can understand, I have a cooker extractor in the kitchen I use when cooking. - If these then work well I'll consider taking it with me on business trips. I find the Soundcore mini too bassy for voice and prefer the Nano for voices and mini for music, so interested if sound quality for voice has improved. I currently use a Oontz speaker for when in shower so interested in waterproofing. Currently I prefer the Nano best of all. Can't wait to see what other products will be offered. I plan to test my speaker while driving back from the fake US address that I will have to give in order for me to enter this contest. It should be no more than 8 hours of driving unless I run into weird weather. It should cost me about $150 CAD in gas money. There may be issues at the boarder with customs when I cannot provide a receipt for my newly obtained speaker. They will likely dismantle the speaker to check for drugs so I might as well do a disassemble video as well. Looking forward to the challenge. I'd be up for this. I currently use my sound core mini in the kitchen when I am cooking or in the garage/outside when working on my bikes/car. So I would be comparing the new version to the old. I find with the current one that Bluetooth range can be a bit of an issue when working in the garage/outside. I am by no means an audiophile, but I do find the clarity in the audio decreases when you need to pump up the volume. This can be necessary in both of my "normal" environments. Depending on the price I would consider also buying one a new version one too so I could test the stereo sound from them. This would suit my kitchen set up nicely I think! I'd be posting my reviews to twitter, my own website (newly created... in the process of moving all my Anker reviews there) and amazon.co.uk - assuming they let me! I usually do wordy reviews with pictures. I don't really use a portable speaker. I've got an old JBL pocket sized spker, that in the 5 years I've had it, have used it about thrice! Good luck to all and enjoy. I like this new idea for PowerBucks. Unfortunately, I don't really have the need for a speaker. Can't wait to see what other products will be available for bucks. Ooooh I would love to test the new SoundCore Mini 2 because it is the first product available under the new Soundcore branding! It would make for a great comparison video between the original SoundCore Mini. 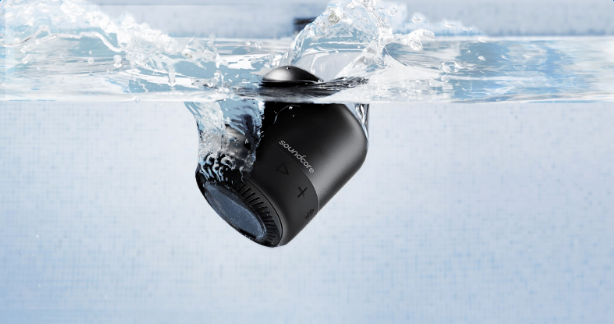 There seem to be a number of improvements here, including the addition of water resistance, stereo pairing, and better sound quality, which is always welcomed! I probably won't get super technical with my review in terms of exact frequency output and such like that, which would be better covered by an audiophile, but I'll definitely try to focus on the typical consumers' picture of the perfect speaker, and whether or not SoundCore Mini 2 checks all the boxes. Of course, I'll upload my video review on YouTube, as always, and I'll probably write a brief review on Amazon as well. Then I'll share the link to my YouTube video on the Community, and answer any questions you all may have! Oh, and as others have said, I am in favor of this new way to spend Power Bucks! Interesting that it's under the Euphy brand. I was surprised to see EufyHome as the seller, too!